3D printed computer: A dream come true? Additive manufacturing is a great way to develop new projects and some new innovations could even be related to computer science. 3D printing a 3D printer is possible, conductive 3D printing is now a reality, so why wouldn’t it be possible to 3D print a computer? In this blog post, we are going to see what it is actually possible to do for computer science using 3D printing, and we will take a look at the recent experiments made in this field. 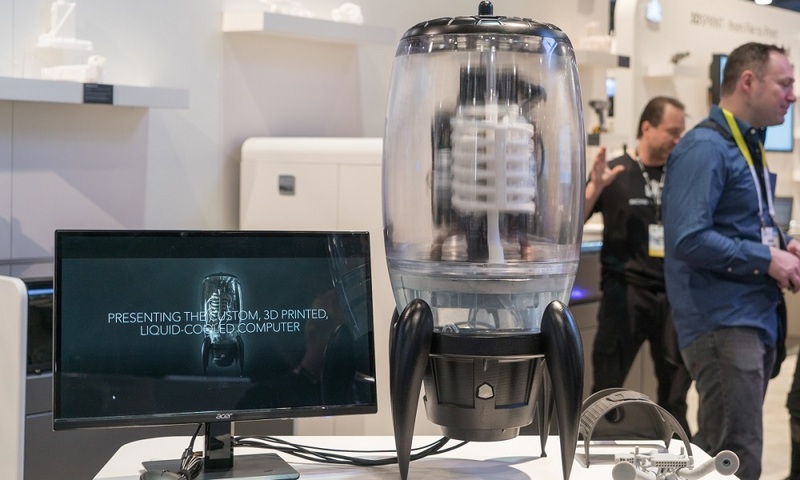 What if your next computer was a 3D printed computer? 3D printing computers, is it possible? When looking at the applications of 3D printing, you might think that the possibilities offered by this technology are endless. We can say that you are right, regarding the amount of 3D printing news. We recently saw new innovations in the electronics field: conductive 3D printing, a step forward, really opening up new perspectives. Indeed, if we know that it is possible to print enclosures for electronic devices, some serious research has been made about conductive 3D printing, and promising methods are already available!. Some new electronic devices are progressively becoming printable, and computers could be next on your 3D printing checklist. Do you need a little help to start your electronic project? Take a look at our selection of design software for electronics and make the best choice possible for your project! 3D printers capabilities are improving year after year, allowing to manufacture more things of our daily life. If 3D printable computers are becoming a reality, other devices of our life could easily be 3D printed too! For example, we could start to dream about 3D printers smartphones too. Creating electronic devices using this 3D technology is allowing to go further, making the most of 3D printing benefits. For the moment, it is not really possible to 3D print an entire and functional laptop, for example. But still, some electronic devices can be created using this manufacturing technique, and we are going to tell you about some relevant experiments in this blog post. What has been made regarding 3D printed computers? 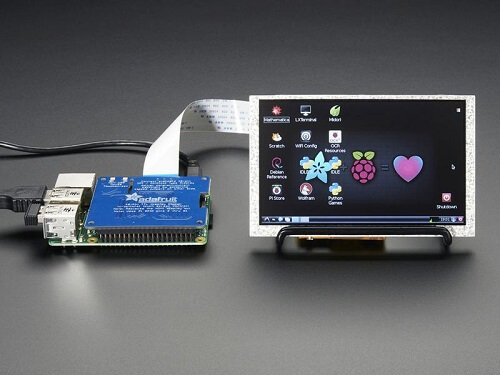 Adafruit, is a hardware company, designing and manufacturing electronic products. They shared information about 3D printed Raspberry Pi-based computer on their website. This device costs $225 to manufacture and is looking like a small computer. This little PC is allowing communication, showing that 3D printing a computer is possible. The technology still needs to be improved in order to print bigger projects and bigger computers, with more efficiency. However, we can say that is quite a good start! This cooling system of this PC is inspired from the vacuum tubes of the world’s first computer. The team started by 3D scanning PC components, in order to get CAD models. Using Geomagic Design and Geomagic Freeform design software, the team used these models to sculpt a cool unique housing unit for the PC. The idea was to build a project for the CES. The project is using both 3D printing and traditional manufacturing techniques like CNC machining. It was the perfect match, allowing to work on the design part, and get a functional device in the end. Asus is a computer, phone hardware and electronics company. They recently added an option for their customers: to 3D print parts in order to modify the appearance of their motherboard. They shared STL files, allowing users to modify them and get printed and custom made computer parts. Computers are becoming customizable devices thanks to additive manufacturing. The parts that are 3D printable include tags, motherboard holders, fan holders and even cable combs. It is possible to get 3D printed parts, like a PC case. The Complx and Aetos projects. 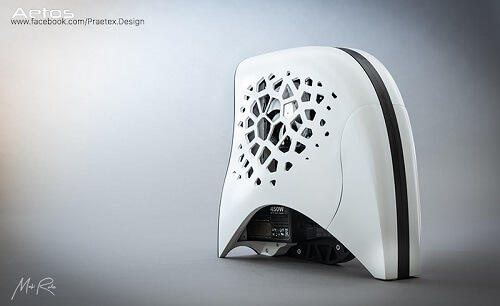 For the Aetos 3D printing the PC case has an amazing design, this technology is helping to work on aesthetic customization. Additive manufacturing is allowing to work on the design with a lot of freedom, creating structures in only one part, which might be really difficult to develop with traditional manufacturing techniques. What is the point of 3D printing a computer? As you certainly know, mass customization is one of the most interesting benefits of additive manufacturing. Indeed, this manufacturing process could be a great way to make custom computers for companies, or individuals. The price. 3D printing to manufacture computers could really be a money-saving method. First, it is only using the amount of material that you need. It is also a great way to develop new designs, make new experimentations. 3D printing could be the perfect opportunity to develop computers with better designs, better cooling systems, and at least, making more efficient computers! For the moment, engineers are interested in this perspective of 3D printing a computer, and they try to make many iterations using desktop 3D printers to get closer to their goal. But computer companies and electronics manufacturers are starting to consider these 3D printing benefits. They could soon include 3D printing to their manufacturing process, which could be a real asset for them! 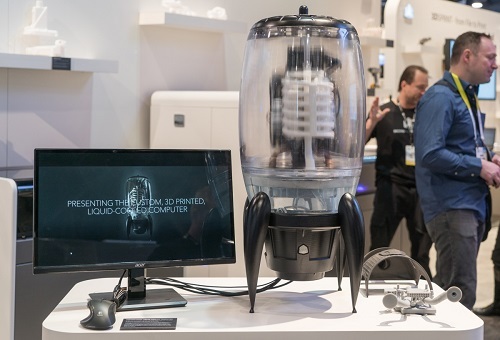 Who knows what we will be able to achieve with future powerful professional 3D printers? The 3D printing technology is evolving faster and faster, offering new possibilities for computer science. With the evolution of 3D printing technology, and the growing use of new materials and technologies like metal 3D printing, the use of additive manufacturing for electronic is really promising for the upcoming years. There is also a huge development regarding 3D machines, there are different types of 3D printers available, and new ones are constantly unveiled, offering new possibilities for electronics. Do you need to 3D print computer parts? If your 3D file is ready, you can directly upload it on our online 3D printing service and get your parts in a few days. To discover more applications of the 3D printing technology, subscribe to our weekly newsletter!